Vivo NEX A featuring an in-screen fingerprint sensor could be in works. 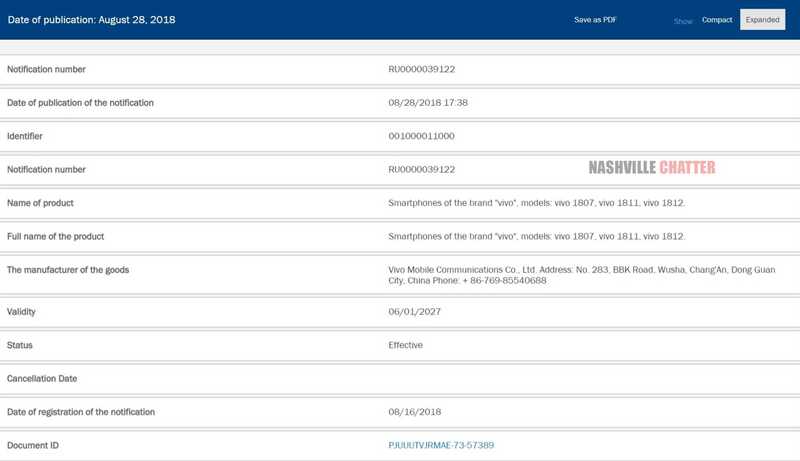 The reason behind it is that Vivo phones labelled as Vivo NEX UD A and Vivo NEX UD have received certification from China’s Ministry of Industry and Information Technology earlier this week. The Chinese manufacturer had launched the Snapdragon 710 SoC powered Vivo NEX A phone with rear-facing fingerprint scanner. The inclusion of the “UD” in the newly CMIIT certified Vivo NEX UD A suggests that the company could be prepping up a NEX A smartphone with under-display fingerprint scanner. 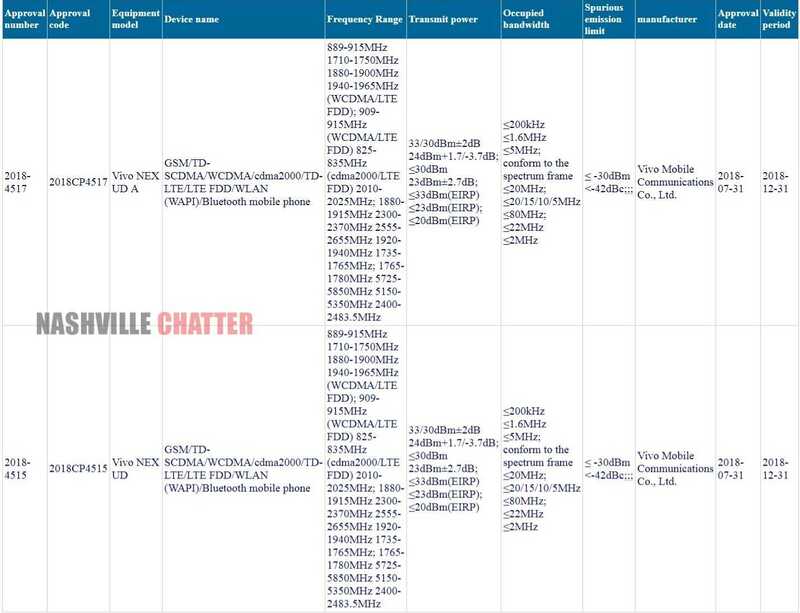 There is no information available on the specifications of the newly spotted of Vivo NEX UD A smartphone. However, it can be assumed that besides the inclusion of in-display fingerprint sensor, there won’t be any major change in its specs. Vivo has confirmed that the Vivo X23 smartphone that will be debuting on September 5 will be arriving with improved fourth-generation under-display fingerprint reader. Hence, the upcoming Vivo NEX UD A may feature the same fingerprint scanning solution. Now that the NEX UD A smartphone seems to exist, the Chinese manufacturer may debut it in the near future. The Vivo NEX A was launched with a price tag of 3,898 Yuan ($571). There is a possibility that Vivo may slash the pricing of the regular Vivo NEX A and launch its new under-display fingerprint scanner edition with a pricing of less than 4,000 Yuan ($586). Apart from the Vivo NEX A in-screen fingerprint scanner edition, the Chinese manufacturer could be working on some new phones as Economic Commission (EEC) authority in Russia have approved never before seen Vivo models such as Vivo 1807, Vivo 1811 and Vivo 1812. However, the exact identifies of these devices are still under the wraps.